Atlus have announced via Twitter that the North and South American release of Persona 4 Arena Ultimax will be region free. Both the Playstation and the Xbox version will be region free, which means regions such as Europe that are not receiving an official release of the game can still import their copy worry-free from the U.S. or Japan. Fans of the game may remember the region-locking of Persona 4 Arena. Playstation 3 and Xbox 360 games are mostly always region free, in fact with Persona 4 Arena being the only known game to be region locked on PS3. Persona 4 Arena was region locked due to the variance between the U.S. dollar and Japanese yen currency values at that time. Because after currency conversion when importing the U.S. version of the game turned out to be cheaper than the Japanese one, Atlus were worried that mass importing from the U.S. would affect the game's sales in certain regions. Atlus also revealed that the U.S. release of Persona 4 Arena Ultimax will receive the same cover art as the Japanese release. Sounds like some good decisions all round! 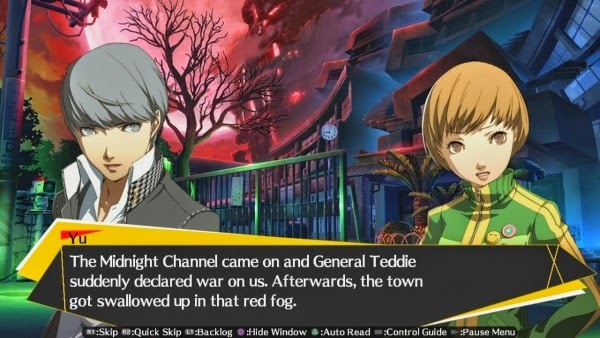 Read more about Persona 4 Arena Ultimax at JRPG Jungle! Follow @JRPGJungle on Twitter to keep up to date with our news, reviews, articles and JRPG musings!